To please all of our customers, we have a range of mini trampolines. Two different models that will please both adults and professionals. The Minimax will allow younger children to try trampolining; it will also be an essential accessory for your own personal fitness work outs. The Minimax Pro will be more adapted to health and fitness professionals. 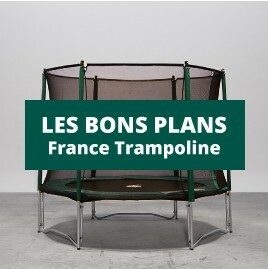 Choose the mini trampoline suited to your needs ! All of our products meet European standards and are regularly subjected to quality controls. Our Minimax trampoline measures 1.02 m and the Minimax Pro measures 1.20 m.
Fitness TrampolinesThere are 8 products. This powerful sports trampoline is perfect for top of the range sports halls. jumping mat for Gymtramp Pro springboard.